Our chickens are reared for flavour. The first food we give our birds is grass. We keep offering them grass every day so after 3 or 4 weeks when we take them out to a field, they know how to forage. Encouraging their natural behaviour results in a richly flavoured meat and a noticeably denser carcass which gives a gelatin rich and flavoursome juice. The birds live in small houses without doors which are moved daily so they are always close to fresh grass. 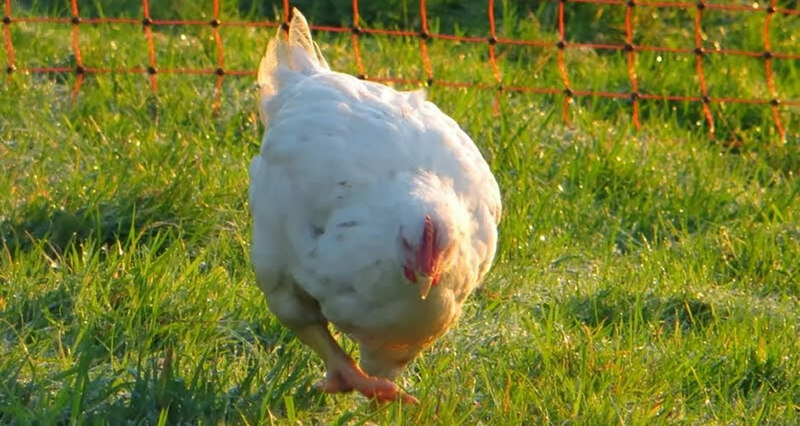 We have chosen a breed of chicken which matures slowly over 11 and a half weeks as opposed to 5 or 6.